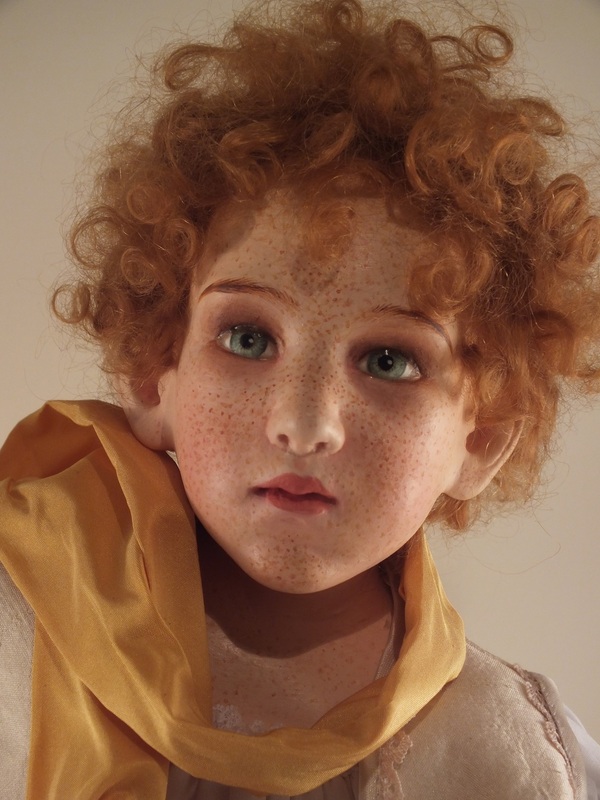 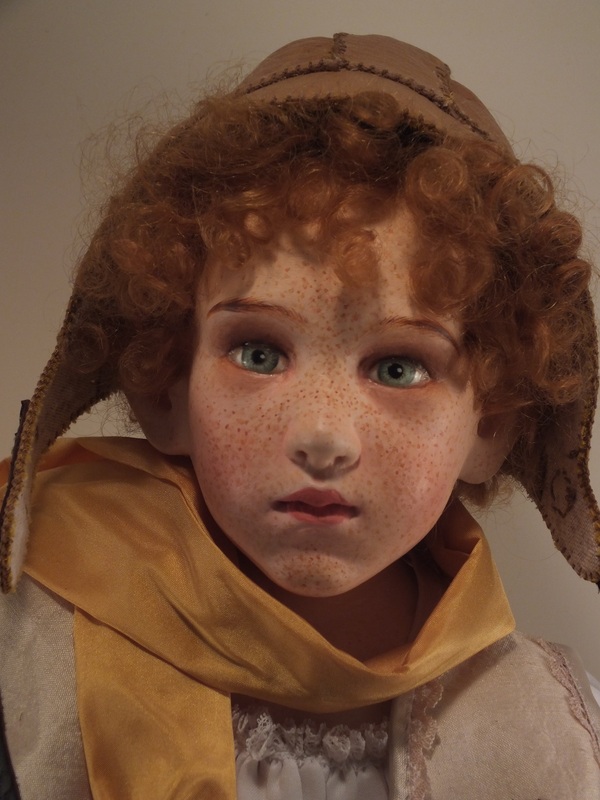 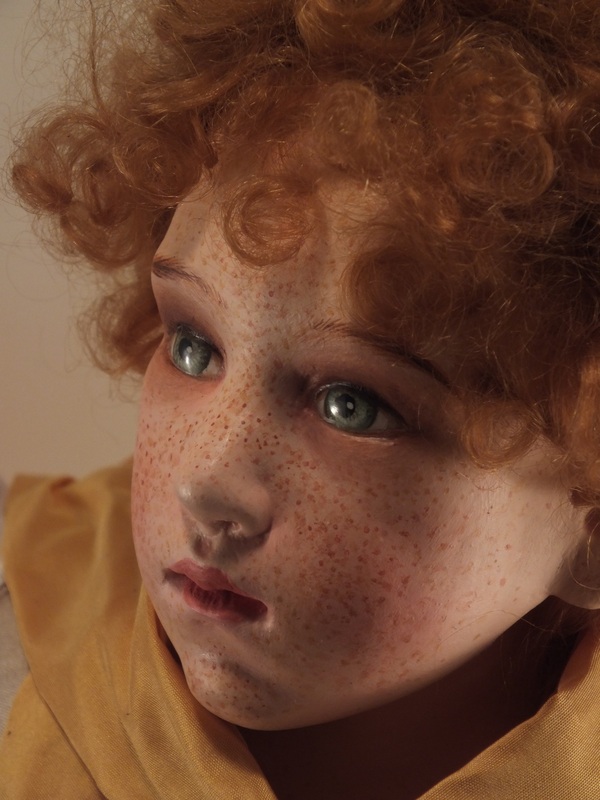 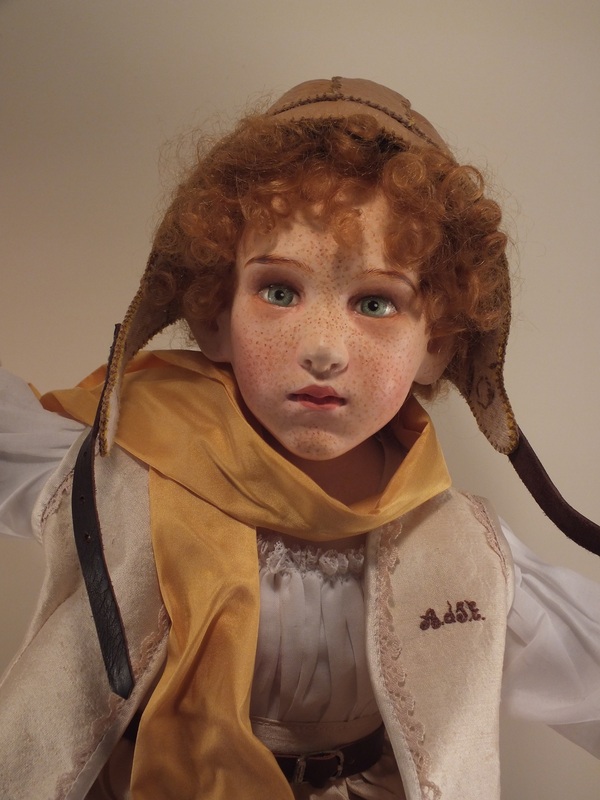 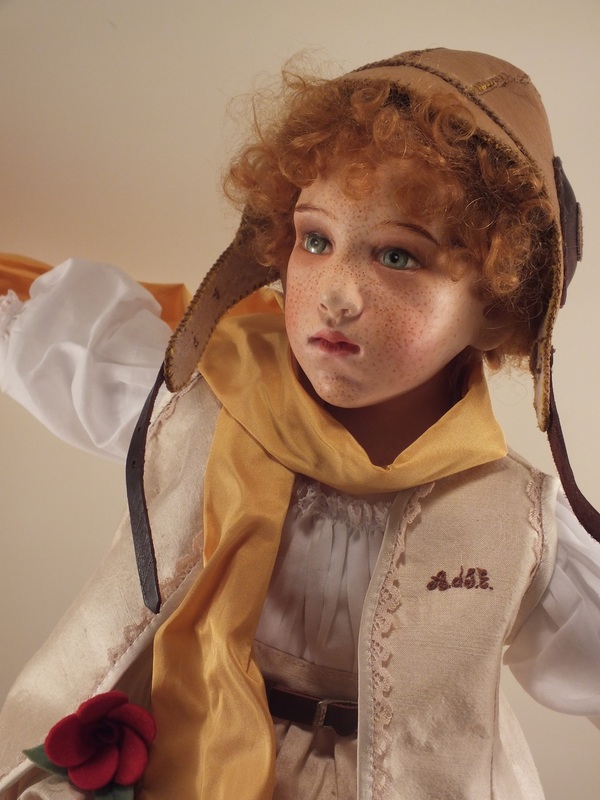 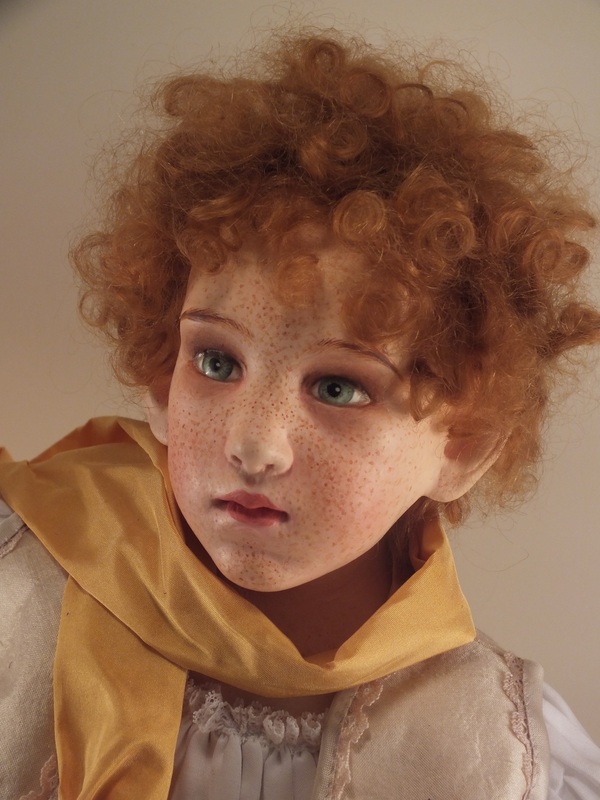 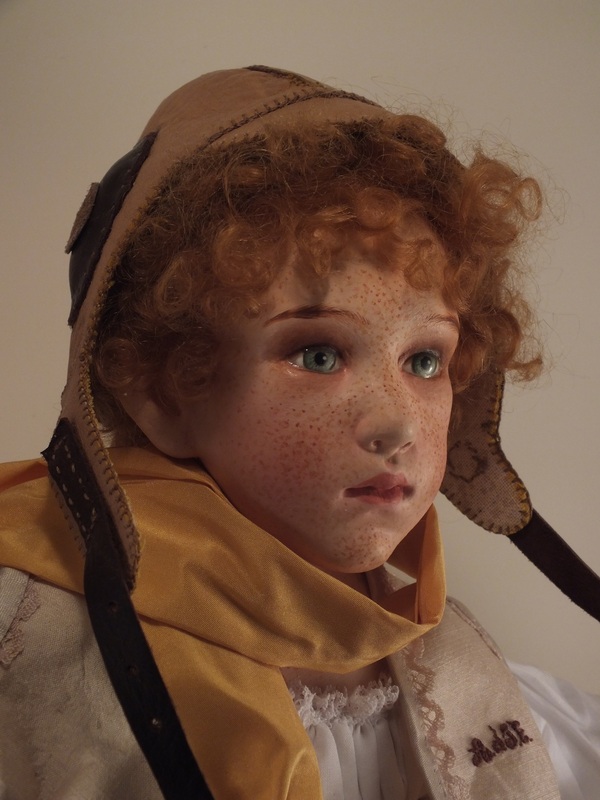 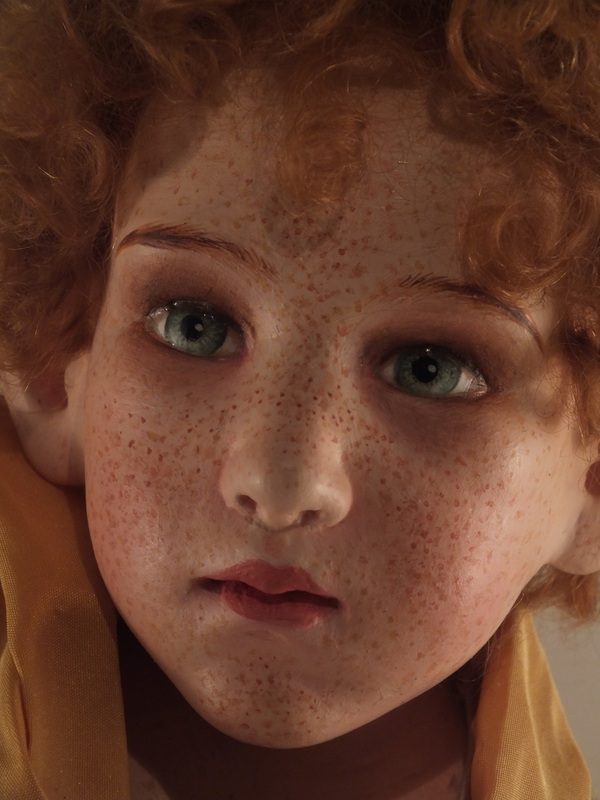 This is a handmodeled artist doll made in terracotta (Goerg & Schneider fired at 1200°) and 17 inches high seated. 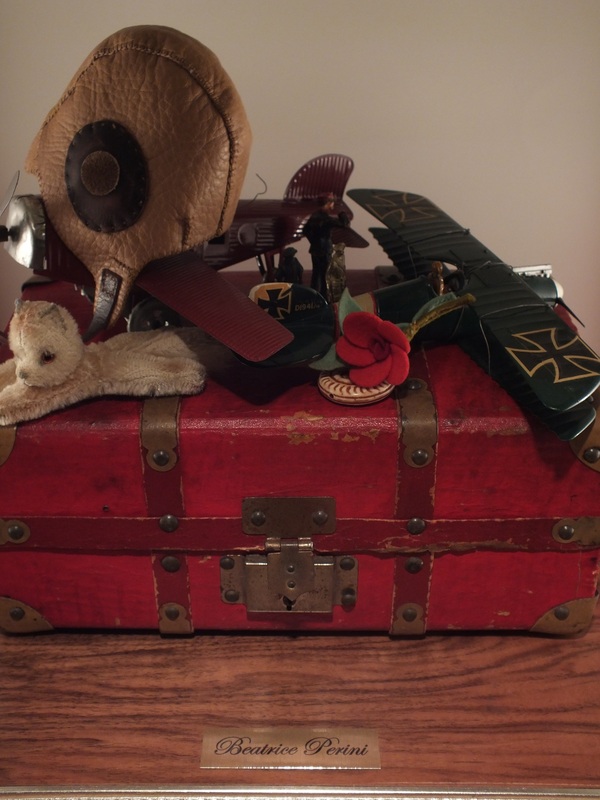 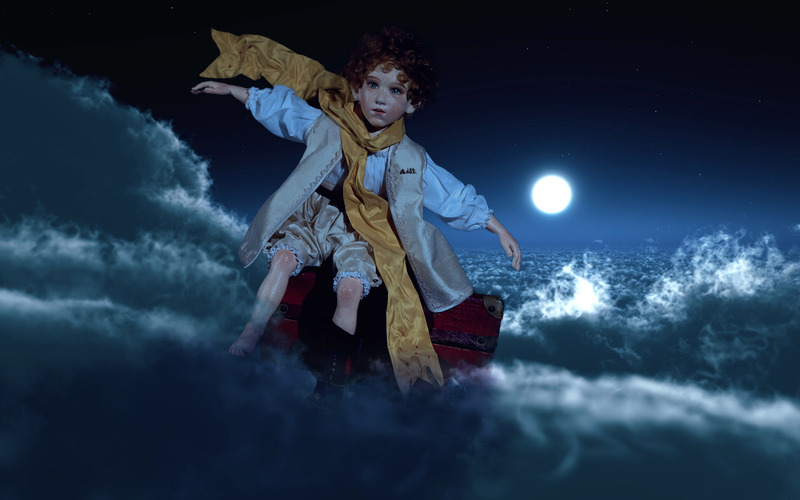 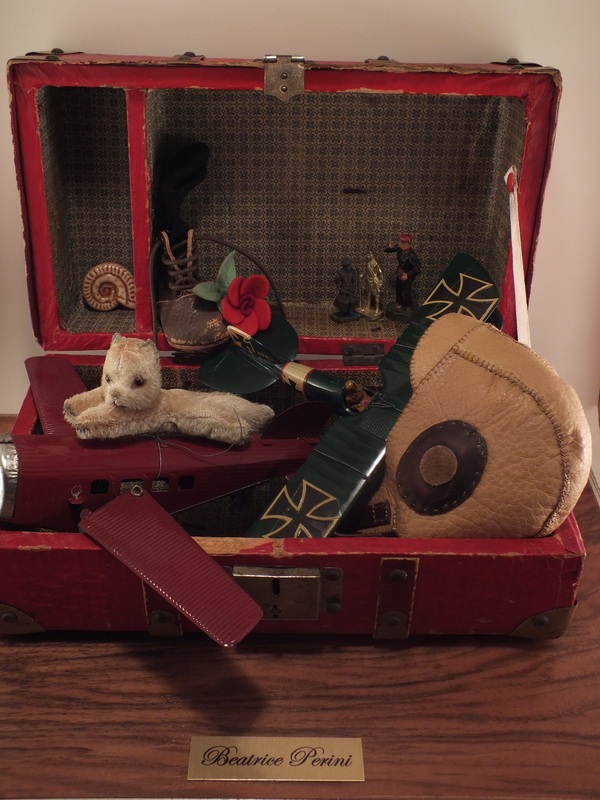 He is seated on a vintage doll’s trunk, filled with toys. 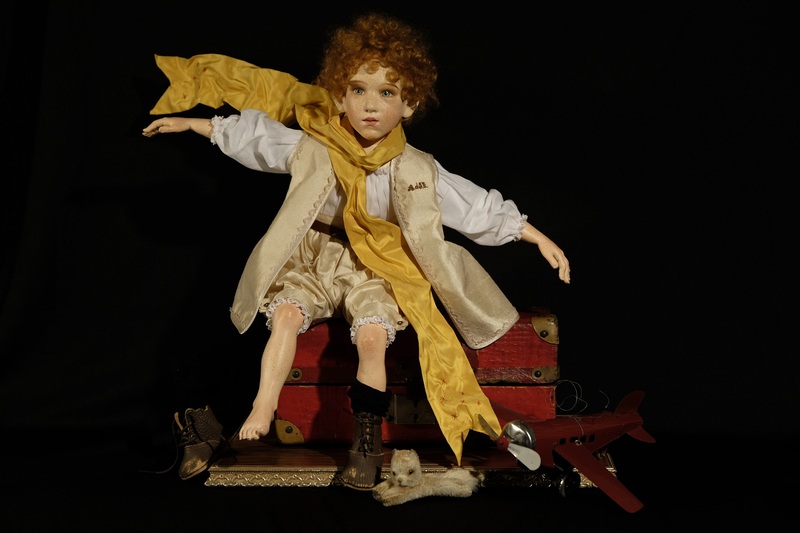 Included are the fox and the rose, as “Le petit prince” famous characters.